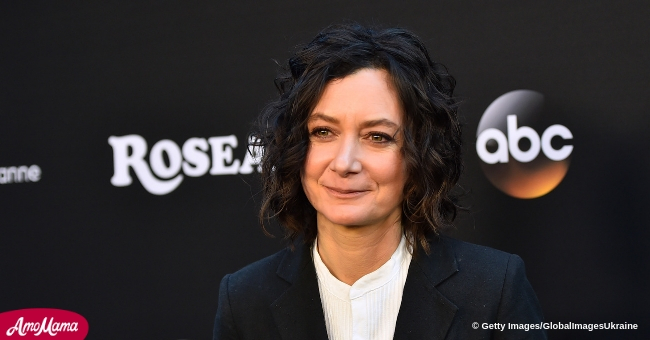 On Tuesday’s episode of “The Talk” co-host, Sara Gilbert revealed that she would be leaving the show. The actress and television host was with the talk show for nine seasons. Her co-host, Sharon Osbourne couldn’t help but shed tears when the news was revealed. 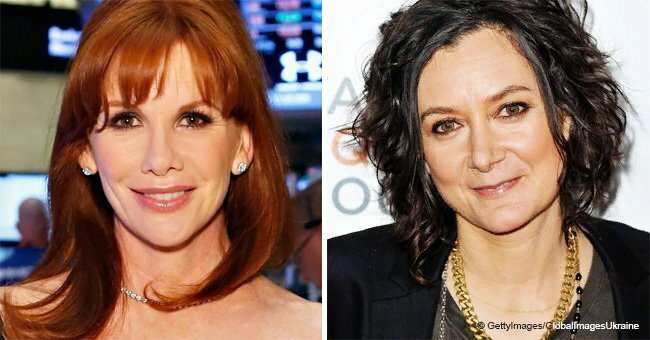 “The Talk’s” recent episode was a tear-filled rollercoaster as veteran co-host, Sara Gilbert, 44, announced she would be leaving. “The Conners” actress confessed that she had been "struggling" to balance her work-life and private-life. She shared that she couldn’t manage her duties on the daytime series, her ABC show, and her young children. Gilbert told her co-hosts and the audience that she would be leaving the show after the current season. 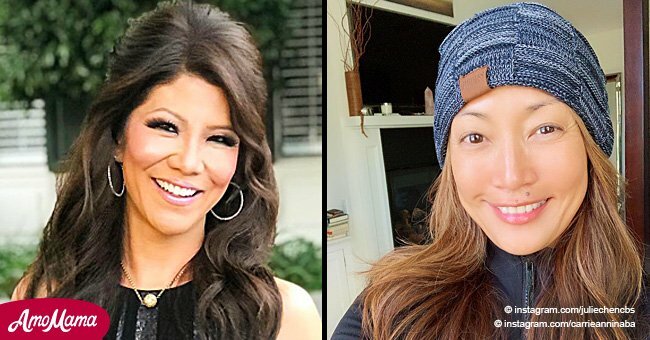 “YOU ARE AN AMAZING WOMAN." Fellow co-host, Sheryl Underwood, had some kind words for Gilbert who had been on the talk show since it began. She said, “You are an amazing woman. You are a true example for others to follow. You created something very, very special with The Talk. God has given you a great talent, and I think he’s opening doors for you to use that talent wherever you go. But more than that, you're an amazing mother, an amazing partner, wife." Sharon Osbourne, 66, who had started off on the show with Gilbert, broke down in tears as she processed the news. 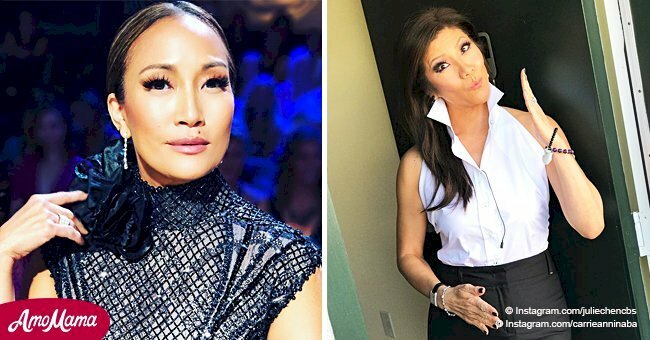 Co-host, Carrie Ann Inaba noticed and said: "Sharon is not OK."
Singer Eve shared that they understood Gilbert’s reasons for wanting to leave. She stated, “You know what? It’s definitely sad but we all understand the evolution of a woman, of a person, of a mom." The rapper also thanking Gilbert for her guidance saying, "Thank you for letting me in, because I know you don't let a lot of people in. I feel like I've been able to see some beautiful sides to you. I know this is hard for you both, but everybody here who loves you and loves us knows that you have to do what you have to do for the evolution." "I WANNA SAY SO MANY THINGS TO SARA." Inaba then asked Osbourne if she wanted to say anything, and the co-host responded, "I do, I wanna say so many things to Sara." Trying to lighten the moment she joked, "I’ve never worked with anyone for nine years before, I always get fired." A teary Osbourne confessed to her fellow co-hosts that of all the women who had been part of “The Talk” over the years, the ones she was sitting with were "the best table." Her words elicited tears from the other women. "You can respect people, and you can really enjoy working with them, but there's always someone that gets on your nerves — it’s true. There's nobody that gets on each other’s nerves here, and I think that Sara has just, since she took over this seat, has just been slamming it every show. "You’ve all seen her dry humor that comes out of nowhere. She’s so quick and so sarcastic and so fabulous that we just think, as women, we’ve been slamming it and we’ve just got this great thing going right here right now." Gilbert has three children, a son Rhodes, 4, whom she shares with songwriter and wife Linda Perry, another son Levi, 14, and a daughter Sawyer, 11. Her two children are from her previous relationship with television producer Allison Adler. HER ROLE ON "THE CONNERS"
Gilbert acts and is an executive producer for “The Conners.” She confessed to her co-hosts that she’d felt "out of balance" working on both shows. “The Talk” airs weekdays on CBS at 2 p.m. ET, 1 p.m. PT/CT.